Two great #WomenInSTEM: Computer scientist Katie Bouman and Margaret Hamilton. 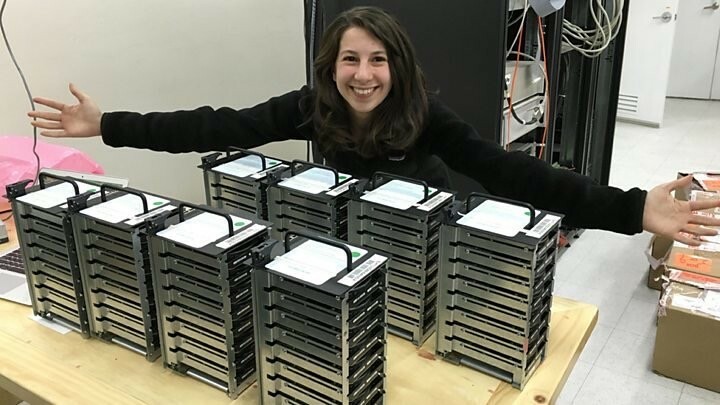 Katie with her awesome stack of hard drives for #EHTBlackhole image data 😍. 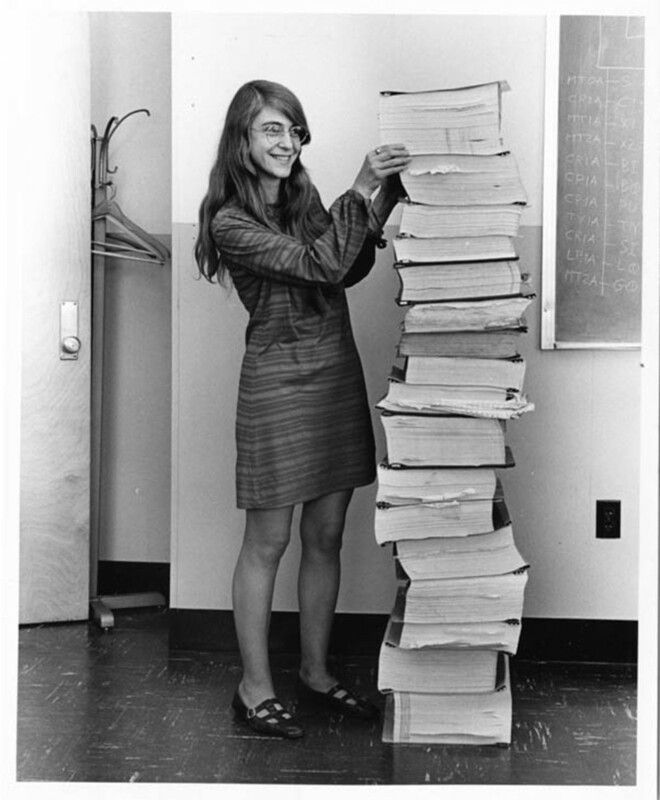 Margaret and her Apollo Guidance Computer source code 📚.